"In September, teacher Foray Turay should have welcomed 300 children to his primary school in the Sierra Leonean village of Samaya. But not a single child in the country has attended lessons since 31 July, when the government declared a state of national emergency to contain the deadly Ebola virus. Across the three worst-affected West African countries of Sierra Leone, Liberia and Guinea, 5 million children aged between 3 and 17 are currently out of education. With more than 16,000 reported Ebola cases and in excess of 6,900 deaths, it is safer for children to stay at home than sit on crowded school benches where physical contact – the way the virus spreads – is unavoidable. 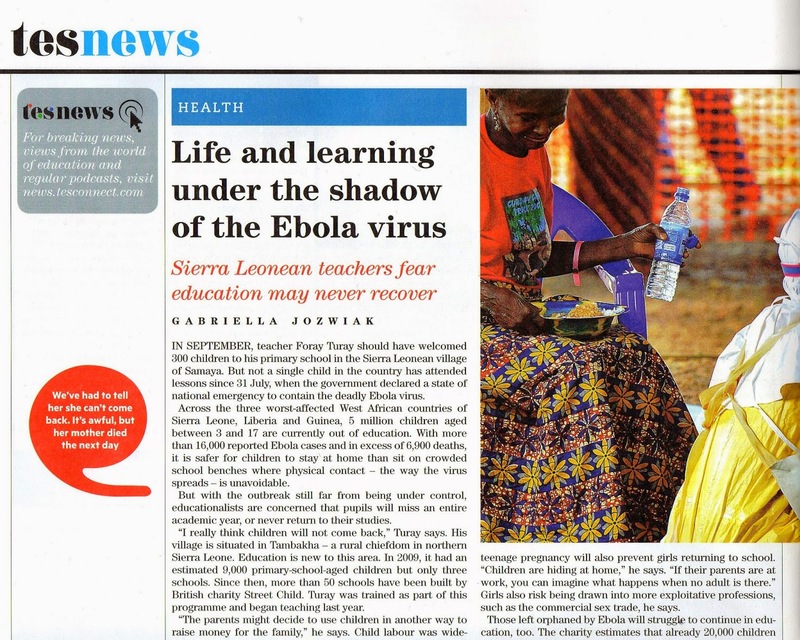 But with the outbreak still far from being under control, educationalists are concerned that pupils will miss an entire academic year, or never return to their studies..."
Read the full article on TES online.